But I’ve learned my lesson. 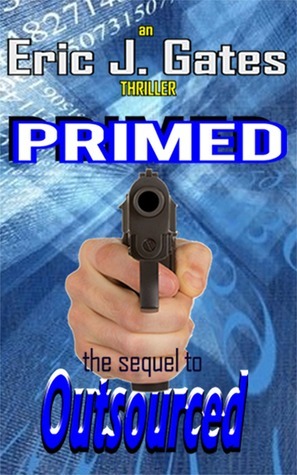 When I started nearing the end of Primed I made sure I was ready for bed with nothing to lose but sleep. And a good thing, because twists started twisting and cliff hangers started hanging and things got exciting. Which is saying something because things, involving two writers, a DIA agent, a homicide detective, a mysterious device and the Russian mob start out fairly exciting even before the twists start twisting and the turns start turning! Would I recommend it? If high octane mysteries are your style, check these books out. Just be sure to start with Outsourced and clear your calendar! This entry was posted in book review and tagged book, book review, fiction, mystery, thriller.